The gravel-voiced icon is wondering if it'd be cool if he sat this one out. The Metal Gear series has spanned more than a decade of tactical espionage action, persisting through multiple console generations, a handful of portable releases, and even taking a break to beat up Nintendo's top mascots. Still, ever since that fateful mission to Shadow Moses, there's been one constant: David Hayter, the voice actor behind Snake and his iconic growl. A revealing tweet from the actor has indicated that we may be reaching the end of that era: Hayter polled his followers to see how they'd feel if he didn't reprise his role as Snake in the upcoming Metal Gear Solid: Ground Zeroes. Hayter tagged series mastermind Hideo Kojima and Konami's official Twitter account in an "Informal Poll:"
Six hours later, he announced the results of his impromptu survey: of the 303 people who responded, 64% would be somewhat upset, 24% wouldn't buy a game without his familiar pipes, and 12% wouldn't mind if he didn't make an appearance (Hayter remarked that that last group was dead to him). It's a pretty resounding cry for his continued performance, but then again, this was a survey conducted solely on followers of David Hayter's Twitter, so it's not exactly unbiased. The tweet could mean any number of things - Konami may be looking to replace Hayter, or he might be getting tired of the series, or maybe the guy's just curious. 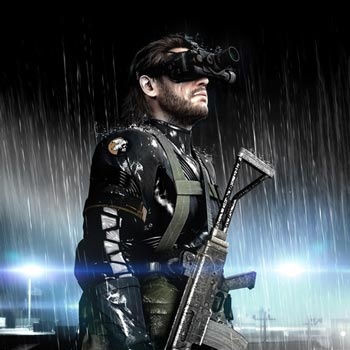 Details on Ground Zeroes aren't solid enough to say whether the game could get away with swapping out its lead voice actor, but it would make for a strange Metal Gear without Hayter there to inquisitively repeat every plot-relevant term he hears.